When NerdNewsToday's Matthew approached me about teaming up for these toy review videos, I didn't know what to expect. Of all the different toys I thought we might review, you know who I didn't think of? Thomas the Tank Engine & Friends. But here we are. First seen at last year's Toy Fair, these Fisher-Price minis are not what you'd expect. How do you take an established show and create a bunch of minis that kids will keep begging their parents to get more of? Simple. You create a ton of variants. And that's what they did. 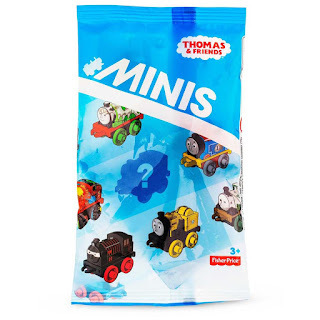 What's also great about the minis is you can get franchise versions as sets. They have DC Comics and my favorite, the Power Rangers. But we're here to discuss blind bag minis, so here we go.